OK, first image post on the new blog! The images are a little bigger now too FYI. A couple weeks ago I had the chance to shoot with a good friend and rockin’ wedding photographer Marc Climie. He’s based out of Atlanta and was here for a wedding. The couple had booked 2 photographers and his regular 2nd had a family emergency, so I stepped in to help out. Marc’s been a huge influence on my work over the years. I shoot receptions the way I do mainly due to him. He’s simply one of the best there is when it comes to covering reception action. The wedding was at the gorgeous Kohl Mansion in Burlingame. It was a crazy rainy day, but the Mansion is so beautiful inside I didn’t even miss the outside. On to the images! 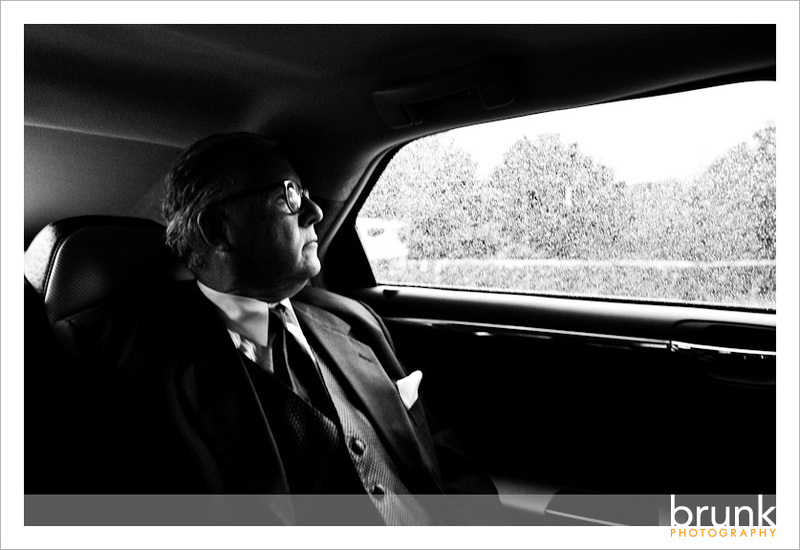 I was digging the light and the rain on the window in this one of David’s Dad. One of my only portraits of the day. As the 2nd I shot the guys portraits, but I was mainly in PJ mode the rest of the day. It’s tough to not be able to grab the couple and shoot how you normally would like, especially when the venue is so photogenic! 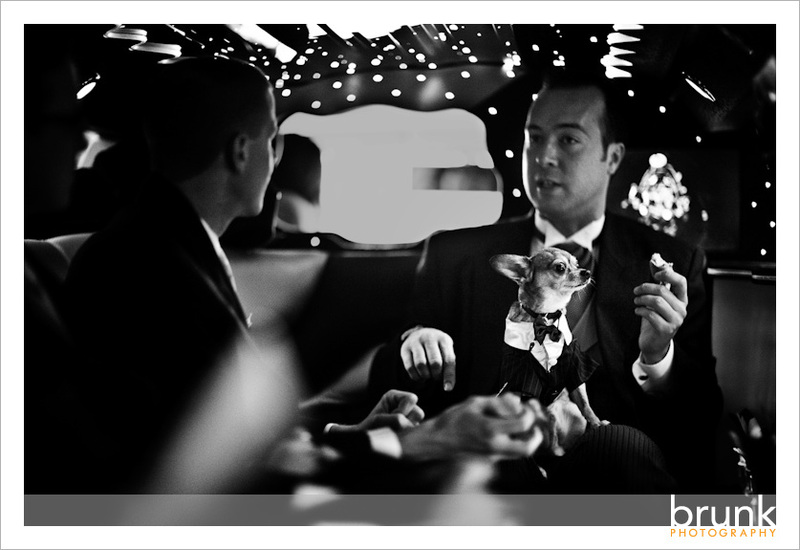 I loved this one though, I had the guys do their best “Sopranos” impression with a tiny chihuahua on David’s lap. Totally cracked me up. 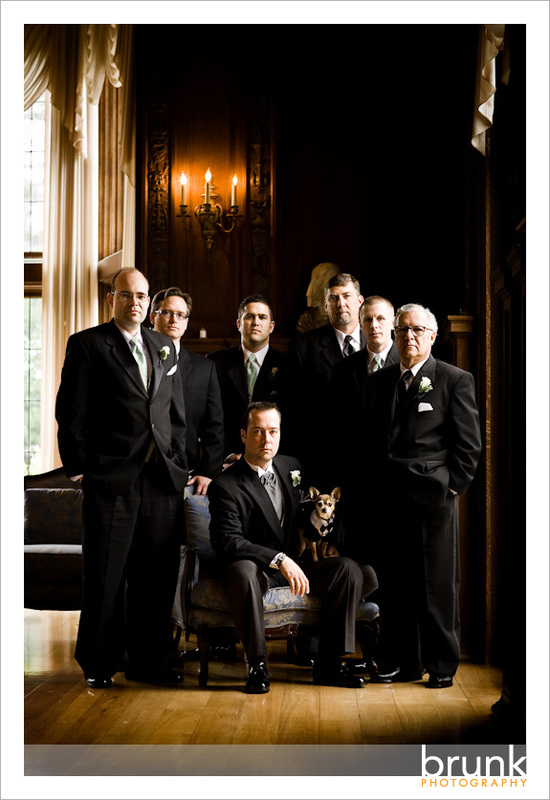 The guys were sequestered in one area of the Mansion to keep David away from Melissa before the ceremony. Only problem was is there was no restroom in their area of the venue. The guys, being an industrious bunch improvised a blindfold out of paper towels and guided him to the bathroom. This is a little series from that moment. Totally busted by one of the planners! She was not gonna let these guys see Melissa. The pup was the ring bearer. Getting ready to fulfill his duty. Melissa heads down the aisle, and makes eye contact with her Dad. She met him halfway. David celebrates when Melissa makes it to him! I was making my way from one area of the building to another that was separated by a curtain. I got halfway through, saw this and backed up. I poked my lens through the curtain so they wouldn’t react to the camera. I really just liked all the little stories going on. They must all be waiting for me. Some great reactions during the toasts. This might be my fav of the day. I called that I would shoot the cake cutting from the balcony before Marc had the chance(think: shotgun!). I thought this little moment when David surprised Melissa with a special “cupcake” cake was awesome! OK, the Rolls is not flying in space I promise. It was raining, and my flash lit the rain drops, freezing them. Thanks for having me along Marc, I had fun! manus - Great stuff. Clean and fresh images. That cake shot with the couple is awesome. The detail shots are sweet. stephanie - love the ring shot. Augie Chang - Nice work Cliff! Cliff - Thanks much all! I appreciate the comments!